← What’s New In Pointe Shoe World ? 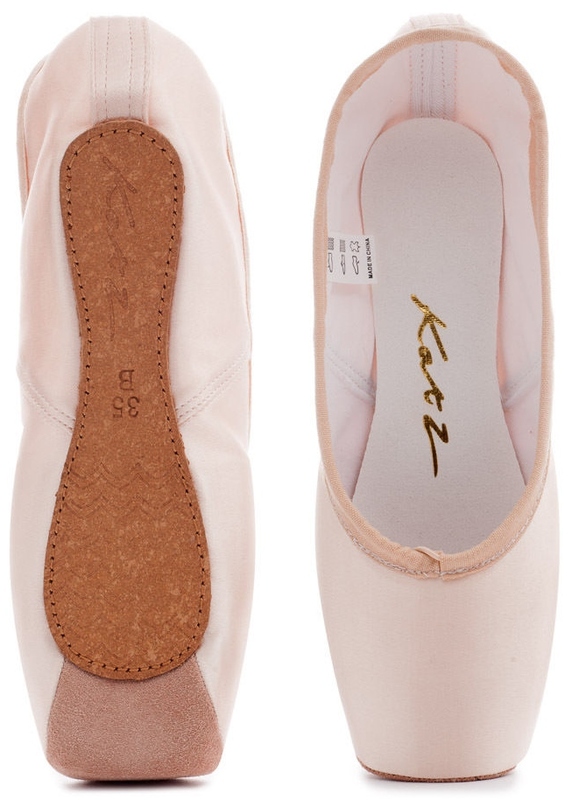 Ever since I first saw the Katz brand of soft ballet slippers, I have admired their beauty and elegance. To this day, I still find the Katz satin slipper one of the prettiest shoes on the market. The pink ones are pure dreaminess and the white satin version reminds me of Cinderella, sleeping beauties, fairy tales, and weddings. As you can notice here, the slippers have painstakingly- perfect pleating under the toes. Whenever I would see a pair of Katz ballet slippers online, I would always wonder if or when they would ever come out with a pointe shoe. Now, they have! Their lovely shoes are produced in Thrapston, Northamptonshire England. The Professional series with hard shank and satin platform. The Professional series with hard shank and suede platform. The Beginner series with soft shank and satin platform. The Beginner series with soft shank and suede platform. Just like the soft slippers, I see the precision of symmetry that gives Katz ballet shoes such wonderful aesthetics. The most admirable quality about them is that they are still made entirely by hand. Across the pond. In England, precious England. Home of Covent Garden, The Royal Ballet, and other fascinating venues of dance history. I wish the new collection much success. 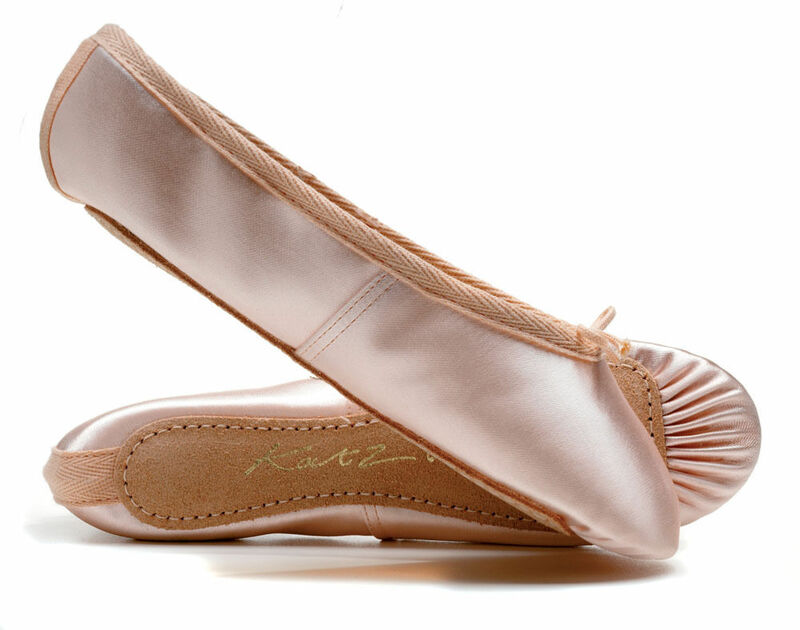 You can learn more about the Katz pointe shoe collection by visiting their official website, Katz-dancewear.co.uk. This entry was posted in British Brands, New Models 2017 and tagged British pointe shoe brands, handmade pointe shoes, Katz ballet shoes, Katz pointe shoes, Katz professional pointe shoes, pointe shoes made in England. Bookmark the permalink.